The first time I ever ate a genuine fried cheese curd was on a chilly Fall day on the square of a small midwestern town. For $2, I recieved a full paper cone of randomly sized cheese curds after standing in line for about 20 minutes. There was some polka music playing in the background, which made the wait bearable. One bite and I knew the wait was worth it: that first cheese curd was warm and crunchy and gooey all at the same time. It was one of those moments that stands out in time for me because it was so good! The fried cheese curd is a staple snack of quite a few communities, especially in Quebec and throughout the Northeast and Midwestern United States, but the fried cheese curds that are flash frozen and sold in many stores or restaurants like French fries don’t compare to the real thing. Not many foods will change you… but I can testify to the power of the genuine fried cheese curd! 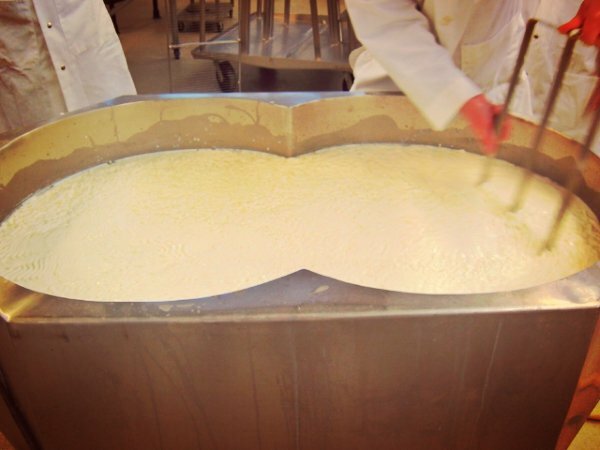 How Fresh Can You Make Your Fried Cheese Curd? If you’ve ever made croquettes, the principle is essentially the same: you take your food, the cheese curd, dip it in a strong batter, then fry it up. For the typical fried cheese curd, you’ll find a batter that has a similar texture to your generic frozen cheese stick you’d find in the grocery store. Those aren’t the good ones… no, you’ve got to make your own because there’s no other way to replicate the extreme gooey goodness of a fresh fried cheese curd! The other part of the equation is that you’ve got to get fresh cheese curds. The best curds to use for the frying process aren’t the ones that have been sitting on grocery store shelves for a week or two. They are the ones that come straight from the cheese factory and are only a few hours old. You can tell if you’ve got a good, fresh batch of cheese curds by the “squeak” test: if the cheese curds squeak on your teeth as you eat them, then you can fry them. If they don’t, you might as well just buy a block of cheese and fry up pieces of that. How Can You Make a Light, Yet Strong Batter? For those who can make freshly fried cheese curds at home, failure comes not from the ability to get great curds to fry, but from a bad batter mixture. You see, cheese curds need to have a light batter coating on them so that there’s just enough crunch when you bite into it, yet not too much batter where that’s all you taste. Think about the last time you had Sweet & Sour Chicken and you’ve got an idea of what the batter of a fried cheese curd should be. There’s one foundational difference, however: instead of using carbonated water, you’re going to use beer to make the batter lighter and fluffier – 3/4 of a cup, to be exact. For added flair, customization, or just plain bragging rights, use a local microbrew. When I make these at home, I prefer to use Spotted Cow if I’ve got any in the house. You’re also going to need two eggs, 1 cup of flour, 1/2 teaspoon of salt, and 1/4 cup of milk. Mix that stuff together until you have a fairly smooth batter. You’re also going to need at least 2 cups of oil and you’ll want to heat that up to a good 375F. I tend to use canola oil for this because of food allergies, but almost any oil will do. Just don’t use peanut oil – trust me on this! Don’t get the oil too hot, however, because the batter will cook too fast and you’ll have a solid cheese curd core on the inside. Now take your fresh cheese curds, dip them in this batter, and immediately put it into the hot oil. You’ll want a wire strainer to help take the curds out of the oil when they’re done because otherwise the oil tends to just go everywhere. Let them cool down for a minute, but not too long… you’ve got to eat these while they’re hot! So What If There’s 40g of Fat Per Serving??? The one issue with fried cheese curds is their fat content. Many recipes, including this one, will have 40g of fat or more per typical serving and considering it’s easy enough to eat two or three servings at a time… There’s no getting around the fact that the best cheeses to fry have a high fat content. You can use a vegetable oil and low-fat cheese to halve the fat content, but the flavor just isn’t the same. Don’t get me wrong – it’s ok, but it’s not life changing! Some people also like to dip their cheese curds into some kind of sauce – ranch, for instance, or maybe a honey dijon sauce. Good, hot, fresh cheese curds need none of this! If, however, you’ve got an older cheese curd that has become a bit solid on the inside, take your standard tartar sauce, add some dill to it, and you’ve got a fantastic and flavorful addition. A good tzatziki sauce will also compliment your fried cheese curds quite nicely! Have you tried fried cheese curds before? Do you have your own recipe you’d like to share? Comment below!